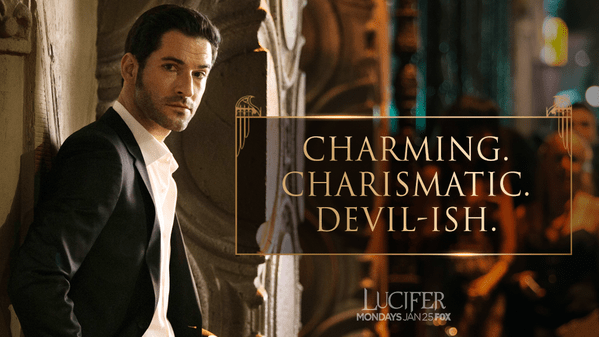 I love love love Lucifer, my partner and I spend a good hour after each episode talking about why Chloe is immune to his “charms” I think it’s because in her distant ancestry she is related to Lilith and none of Lilith’s ancestors are ever going down that road again. Denise, I think that’s an interesting theory! However, the one thing that makes me wonder about it is that Mazikeen is the leader of the Lilim, the race descended from Lilith and, in the comics at least, Lucifer’s lover. That doesn’t mean Chloe can’t also be one of the Lilim, but it might make it a bit odd if she were. I suspect that it’s because Chloe is too pure, she genuinely doesn’t have any dark little secrets, so what is there to tell? That’s already been hinted at, though I’m hoping that the reason she’s immune is a little more complex than that!